The Reluctant Therapist (AKA The Smiling Koala / AKA Bryan Lindberg) came to us looking for a way to help out people that may need a helping hand in this crazy thing we call life. 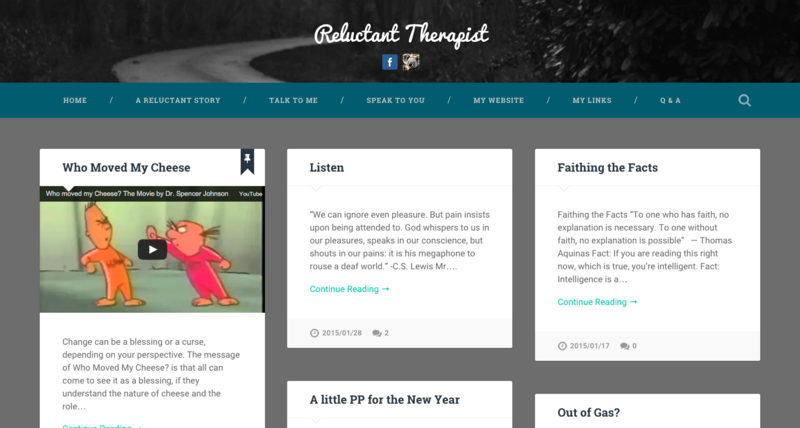 He has his own Therapy Practice, but he wanted a way to be more personal, and you can’t get much more personal than a blog. He even put in a question and answer area to give a way to personally respond to questions asked to him about Marriage, Parenting and more.